You x Max Factor is a brand new campaign that the iconic brand is launching fresh for 2018. Back in 2017 Max Factor surveyed 26’000 women between the ages of 25-55 in an attempt to understand exactly how they are inspired by the beauty industry. 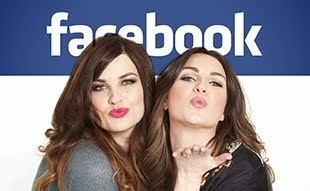 Their research discovered that there are a huge proportion of women who do not feel that they can relate to the advertising and imagery used in cosmetic campaigns and feel that real women are not represented. We loved the idea of this campaign. For too long women have been force fed images of perfection. We are led to believe that the majority of women are juggling family, career and friendships all whilst maintaining a perfect home and immaculately applied eye liner. In all honest we are all just spinning plates, trying to keep everything together fuelled by copious amounts of caffeine. A new wave of thinking within the beauty industry is realising that women are actually empowered by other women they see every day rather than the filtered images of prefect models. No Makeup foundation is not a new one to the market but it recently landed on our desk so we have been testing it out. 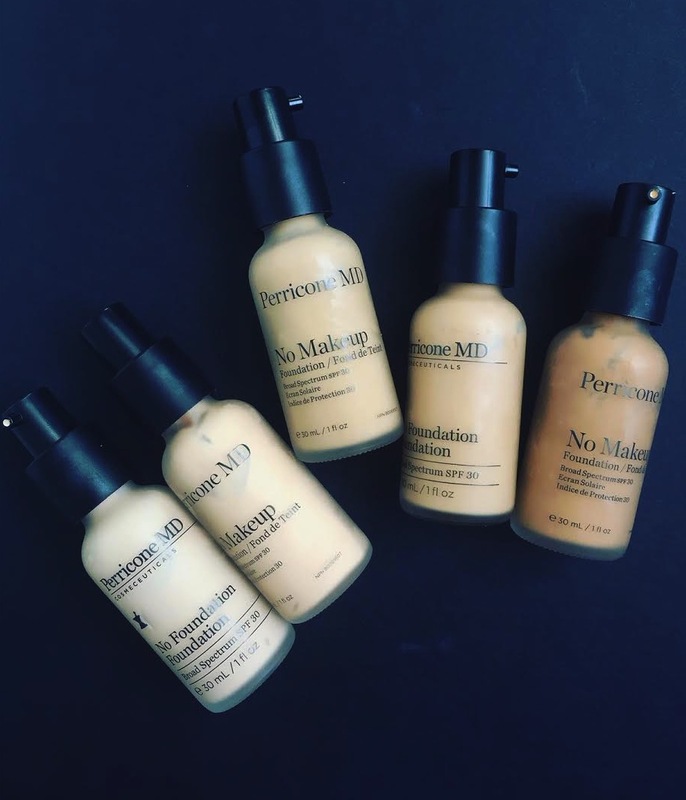 Perricone MD is a brand that combines skincare with cosmetics and aims to incorporate active ingredients within its range that will not only look aesthetically good but also benefit the skin from within. No Makeup foundation is a very sheer but buildable to a natural medium cover. It feels quite thick on initial application but quickly blends away to a water-like texture that melts into the skin. It’s easy to blend and is easy to work and move around to cover the necessary areas. The finish is fresh and hydrating with a healthy radiance. No shimmer or glitter particles are visible. It is very natural but does blur down redness and even out skin tone. If you have blemishes or under eye darkness then you will need a separate concealer. Once set it does have a slightly tacky feel, even after an hour’s wear I could still touch it and feel the dewy texture. Would be nice on a dry to normal skin type but those with a combination or oily skin will definitely require a separate powder, I think you will find the texture uncomfortable otherwise. It has a mineral based Broad spectrum SPF30 but doesn’t appear to flashback on camera. 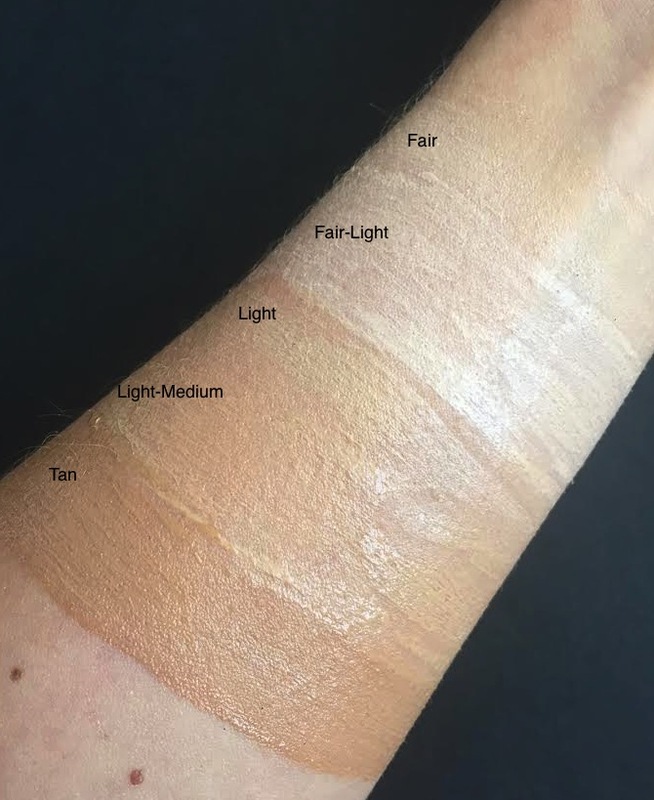 Shade range is poor. 5 shades from fair to tan. 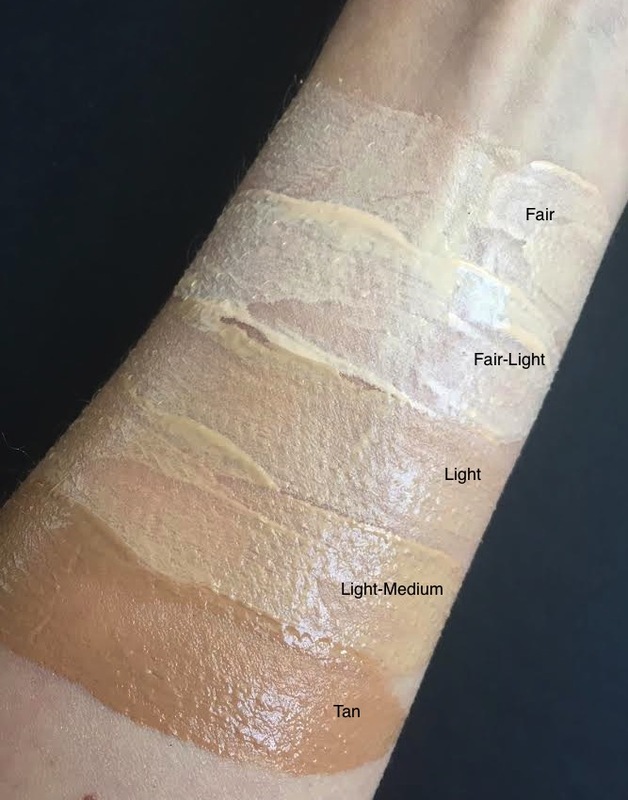 If you are very pale then you may be in luck with the very lightest shade however if you are anything deeper than a MAC NC44 (Yellow based deep olive) then unfortunately you aren’t catered for annoyingly. The other negative is the pump. It’s quite stiff so one pump dispenses a lot of product and shoots it out fast with little control. One pump should be enough but maybe squirt it directly onto your brush so you are not wasting the pricey fluid. Overall it’s a super lovely foundation for spring/Summer if you want barely there but fresh skin and enjoy a hydrating texture. Beautiful for fair to medium skin tones that are dry, no good for anyone darker than a deep medium with an oiler skin.